Transforming Gender and Development in East Asia brings together a collection of original essays from top scholars in the United States and Asia to explore the centrality of gender in the process of economic development in East Asia. 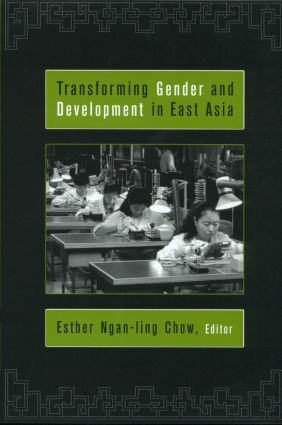 Contributors demonstrate through ethnography, personal narratives, field observation, and in-depth interviews the essential parts women have played in the national growth, economic restructuring, and industrialization of East Asian countries, including South Korea, Taiwan, China, Hong Kong, Singapore, and China. Esther Ngan-ling Chow is Professor of Sociology at American University in Washington D.C. and has served as an adjunct faculty member in the Center for Asian Studies, and is affiliated with the Women's and Gender Studies programs.